DRPILLA was awarded a contract to provide structural monitoring services at the future Powerhouse Workshop in Brooklyn, NY. Our services will provide crucial insights on the current and future implications of structural movements while minimizing safety and structural integrity concerns during and after construction. Built in the early 1900’s, the once abandoned facility was acquired by the Powerhouse Environmental Arts Foundation to be rehabilitated and converted into a new contemporary industrial fabrication center to serve the needs of working artists. The future building program will allow for flexible workshop configurations, exhibition spaces, as well as community space for research and exchange. DRPILLA is the structural engineer for this six-story, 62,000-square-foot residential housing project known as Beverly’s Place in Brooklyn, NY. 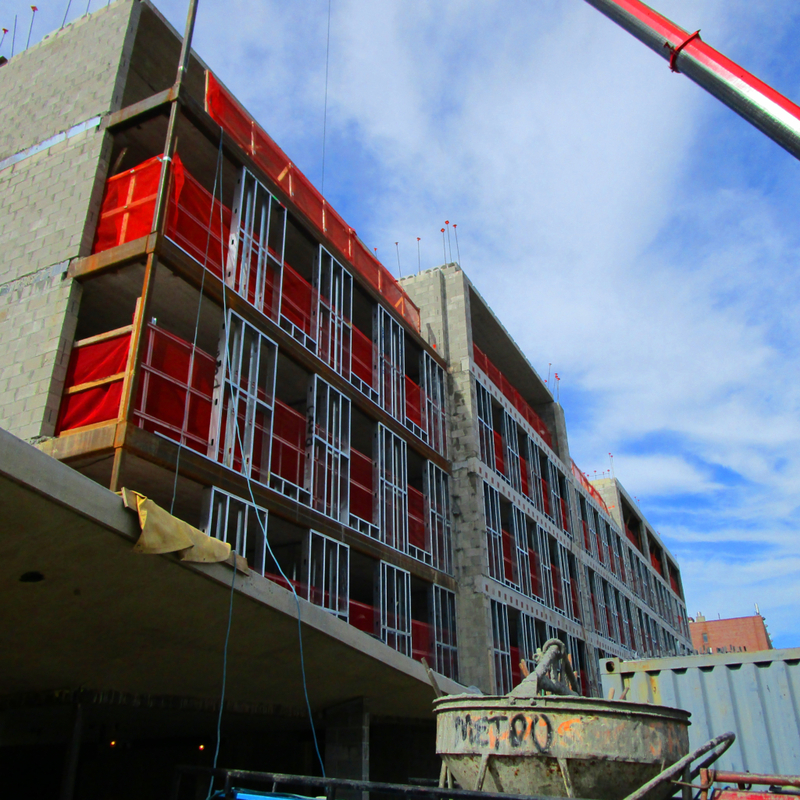 The structure was recently topped out and upon final construction will offer 72-units of affordable housing to formerly homeless individuals and low-income residents. The existing 19,777-square-foot site was once occupied by three single-story warehouses which were demolished to make way for the new construction. A key feature of the building is the glass tower which spans the height of the building. A concrete canopy supported by a single 16-inch diameter steel column makes a bold entrance statement. Community Counseling and Mediation is the developer, with OCV Architects behind the design. Occupancy can be expected by the end of the year. 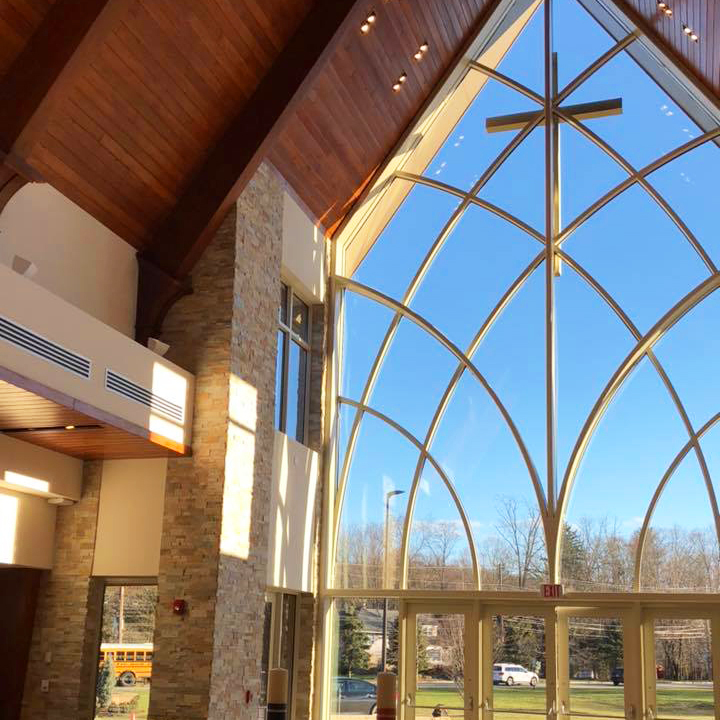 DRPILLA provided façade engineering services for a new 40-foot-tall glass curtain wall entrance at the Church of the Presentation in Upper Saddle River, NJ. The glass entry provides a translucent walkway through the church’s narthex, which illuminates the structure and maximizes transparency. Stainless steel ribs flow upward to form a skeleton of support for the lateral wind loads. Details were designed unique to the building conditions and erection of the integrated system. The façade glazing was specifically considered for deflection and stress. A complete glass stress analysis and deflection criteria was developed for the mullion design system. Stay connected with our latest news and happenings from company updates to upcoming projects. Our work receives industry-wide recognition and awards for its quality, character and innovation. Discover how our thought leaders contribute to today's best practices with notable white papers and works. the opportunity to engineer your next great idea.